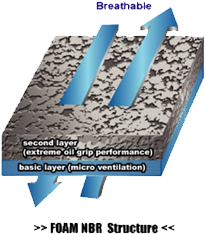 The foam NBR is the coating agent combining the advantages of polyurethane and those of NBR and provides the excellent grip feeling in the industrial site of a very oily environment. 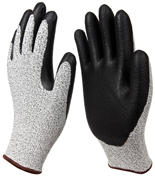 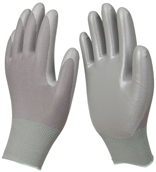 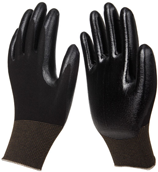 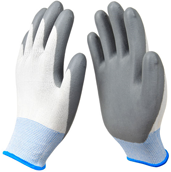 Furthermore, the fine ventilation cools hands when gloves are worn, It enhances the lightness, softness, and comfortableness to enable the outstanding performance during the complex assembly work. 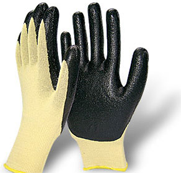 The gloves are suitable to the automobile industry, manufacturing business relating to assembly, fine and precise work such as packagiing and precise inspection, door-to-door delivery and moving business, light work such as gardening, leisure activity, and so on.